Heat 1 tbsp oil in a deep pan. Add radish and stir fry for 1 minute. 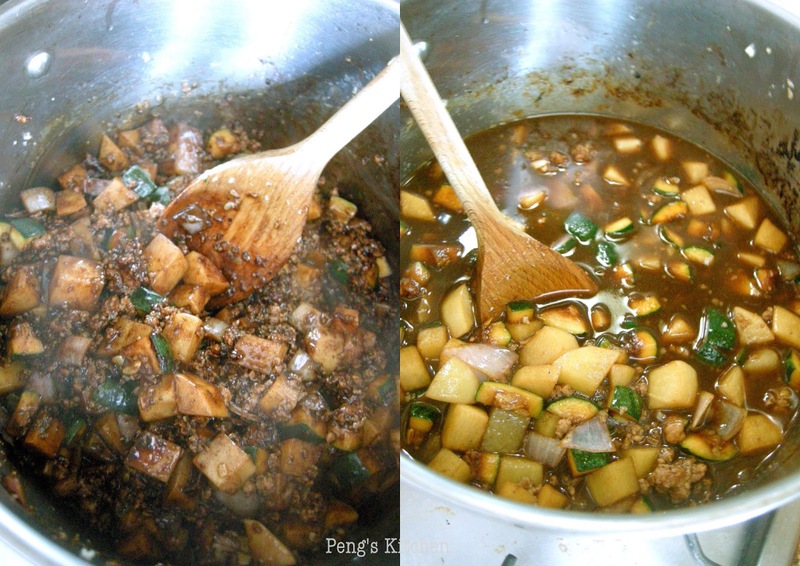 Add in minced pork and fry till colour change. Clear a space in the center of the pan by pushing the ingredients to the edges. Add 2 tbsp of oil to the center of the pan, then add black bean paste and stir it for 1 minute. Then mix everything in the wok and keep stirring. Add in 2.5 cups of water and bring to boil. Lower heat and simmer with the lid closed for about 10 minutes. Cook soba accordingly to package and serve with meat sauce.